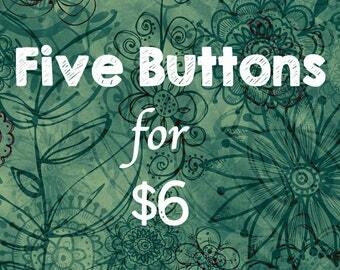 Announcement •Flat rate shipping - no additional shipping cost for extra buttons or magnets ordered! 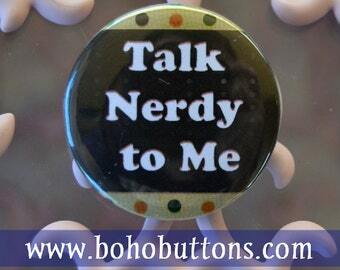 •All our pinback buttons can be made into magnets for an additional 50¢ or keychains for $2.00. 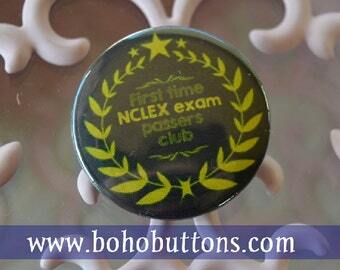 •No extra fee for custom made buttons! •Themes include: Travel, Backpacking, Vegan, Nature / Outdoors, Humor, Christian, Fantasy, Books, Inspirational, Vegetarian, Hippie, Bohemian, and many more. We have bulk / wholesale rates. Please see the featured listing for more details. We offer free TWO DAY shipping on bulk rate orders. 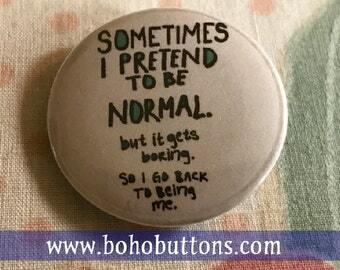 •Flat rate shipping - no additional shipping cost for extra buttons or magnets ordered! Short girls really do rule and this pin rules too! Very happy with my purchase, thank you!! A wide variety of items in our shop for all interests and tastes. 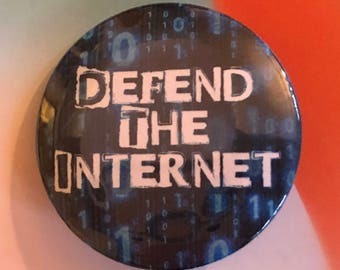 Many more are coming soon! 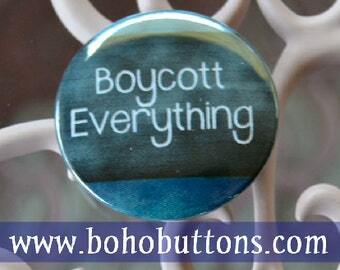 We carry hundreds of pinback buttons, magnets and vinyl stickers. Our items make wonderful gifts and keepsakes. 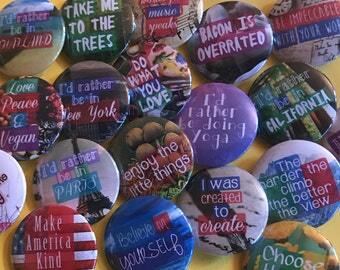 Pinback buttons and magnets featuring various quotes and words of inspiration and joy. 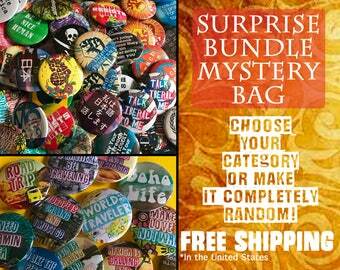 Pinback buttons, magnets, badges, and vinyl stickers! Hundreds of unique designs!! We are a family of three from the Pacific Northwest who enjoys traveling the world. 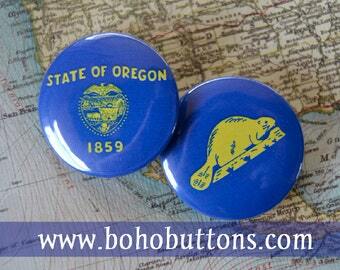 Our travels have taken us to many parts of the globe and have inspired us to create buttons based on our adventures! 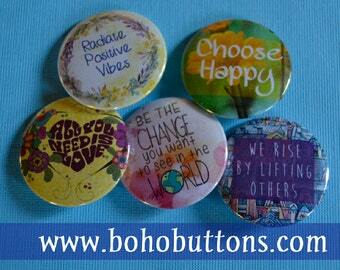 We liked the idea of sharing our journey with others through our small pinback buttons. We chose the size because of they way they look on backpacks, travel bags, and shirts. The idea of collecting small mementos that can be shared with the world appealed to us. We also like inspirational quotes and have created many products with such quotes. We believe that uplifting others and bringing a smile to a person's face is an important part of life. 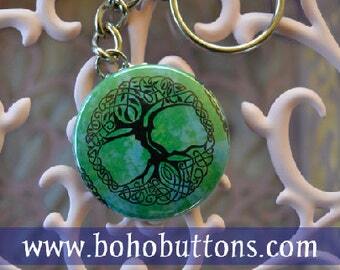 Our Etsy shop has shown much success and continues to grow, year after year. We like to give back and sponsor children and people around the world with a portion of our income. We particularly like Worldvision. We also use part of our income to make microloans available to enterprising entrepreneurs through Kiva. The idea of helping people in places we have traveled appeals to us greatly! Thank you for checking out our shop. We hope that you find something that inspires you! We are world travelers and parents of an amazing little girl who started our business while we were in college. 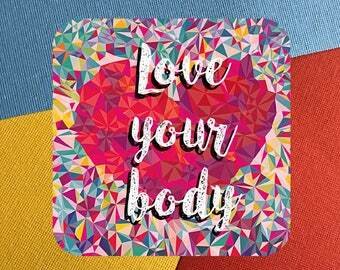 Many of our products reflect some of our interests (healthy eating, travel, values, education, etc.). The youngest member of our shop. She gives us inspiration and will one day likely help create new products for us! 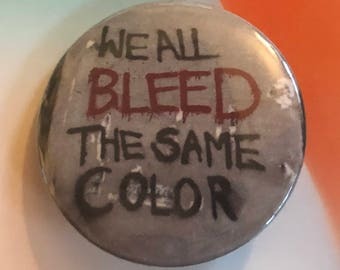 Hello and thank you for your interest in our button shop! 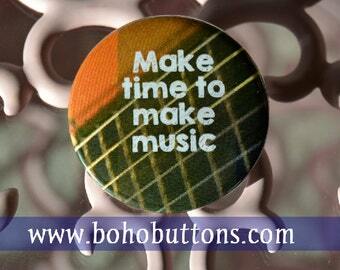 We create buttons on a huge variety of themes. Don't see what you like? Let us know so we can make it for you! 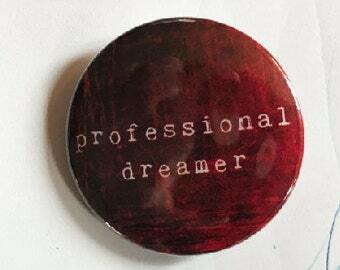 We do many custom buttons for large companies and for individuals. Want a lot of something? Just get ahold of us and we can set you up with a custom order at a reduced rate.